For those with equity in your home, you’ll have a few ways to raise finance, but not all are going to be worth pursuing. Some options just won’t be worth the level of risk. To lenders, the equity you have in your home is security, therefore, there’s next to no risk to them. If you have bad credit, it’ll influence the rate of interest you’re offered, despite your home being secured against the amount borrowed. It seems unfair, so the wise option for you to is to only secure finance against your home when it’s in your best interest to do so. That won’t be often so the next best thing is to only secure finance against your home when you absolutely have to. If your credit files indicate a risk, you’ll be classified as high risk by lenders, and therefore; subject to the higher interest charges that come along with that tag. No matter your situation though, there’s always options. Home equity is the amount your property is worth minus what you owe on your outstanding mortgage. It’s not the same as what you’ve paid toward your existing mortgage. If you bought your home for £100,000, and it’s now worth £120,000, you could sell for market value, pay your mortgage and be left with the lump sum difference. That’s the easiest way to access finance, but it’s at the sacrifice of your home, which isn’t something many find attractive. 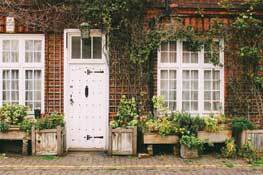 Other options are worth exploring when you want to access your home equity to raise finance, and in some cases, alternative forms of finance can be more appealing by avoiding putting your home at any risk. At the core of homeowner loans is the equity. That’s all lenders are interested in because it’s equivalent to you having that amount in savings. If you default, they can take your savings, or in the case of home loans, take your home, sell it and get their money back. A remortgage will see you exit an existing mortgage, switch to a new provider or product and release some equity in the process. For example, if you bought your home for £150,000, have paid £50,000 towards that, leaving an outstanding mortgage amount of £100,000 owed, your equity would be £50,000 – if the value of your home has remained the same. If your home value is now worth £140,000, you’d only have £40,000 in equity. Likewise, if it’s increased to £160,000, you’d have the £60,000 in equity. What you’re essentially doing is mortgaging your home for the value it’s currently worth, paying off your existing mortgage provider, and keeping the difference. Your interest rate and the type of mortgage interest rate you take out, such as a tracker, standard variable rate, or a fixed rate, and if it is a fixed interest rate, what’s the rate likely to be when that period ends? Will there be any flexibility to pay more towards your mortgage without being penalised, and if so, what fees are charged? There are many advantages that can be had by remortgaging, depending on your reasons. For some, it may not be worth it. Take consolidation of debts for example. You need to remember that a remortgage is a secured loan. If your personal debts have accrued to an unmanageable sum, your personal finances will need to be brought under control as you’d be shifting what’s currently unsecured loans, as in they aren’t debts secured against your home, to debts that will be because you’ll tie them into your mortgage. Also note that if you’re consolidating debts, the interest rate will be lower on a remortgage deal but it’s added to the total value of your home. Not exclusively to the amount of finance you need. If you’re looking to release £3,000 to pay existing debts, it’s unlikely that remortgaging will work out cheaper. It’ll likely cost a lot more over the mortgage term. You may know these as second mortgages. It’s a form of borrowing against the equity you already hold in your property. You don’t have to live in the property either, so this can be an option for landlords to raise capital. These differ from remortgaging because with a remortage, you move mortgage provider and still only have one mortgage to pay. With a second mortgage, you still have to pay your original mortgage lender and then the second. Both lenders have your home as security on the loan provided. Essentially, you’re doubling your risk level to your own assets. Not (always) the wisest move on your part. The advantage is this isn’t based on your credit rating/financial history. It’s instead based on how much equity you own in the property you’re securing against the loan. It can be a risky way for you to borrow, but not for the lenders. It should be noted that you will need to meet the affordability criteria to be approved for this (and many other forms of credit). Also note that a second charge mortgage only applies to homeowners with an existing mortgage. If you own your home outright, it’d be a first charge mortgage you would be looking to inquire about. Secured loans are any type of loan whereby you provide security. In most cases, your home is the security. As there’s security being provided to lenders, the interest rates are lower than unsecured loan interest rates. The benefit of using secured loans is that you get access to larger amounts, often over longer terms. That being said, you can use a secured loan to borrow around £1,000 but many will extend the credit limit into the tens of thousands because your home is used as security. The interest rates may look attractive on the surface, but as with many types of homeowner loans, there’s fees attached. For amounts of up to £1,000, this is likely to be a more attractive form of borrowing as there’s no risk to your home. It’ll have a higher rate of interest attached to it because of that though. It’s possible for lenders to offer £25,000 to £35,000 through unsecured loans, which will be dependent on your credit rating, however the critical factor to consider is the interest rate you’ll be charged. If you’re considering an unsecured loan for a large amount, it’s worth getting a quotation for both secured and unsecured finance to find out how much it’s going to cost you in interest to keep your home out of the terms of agreement, and therefore, at no risk. If you already have a credit card, you can ask the provider to increase your limit at any time. They can decline so there’s no guarantee. Credit cards are mentioned here because these aren’t tied into your home. They’re ideal for small and certain larger purchases. It’s of no use for cash though. Only for purchases you can pay with a credit card. With enough of a credit limit, and a favourable interest rate, you may well find you don’t need to touch your home equity to buy anything. This is the most sensible way to finance any purchases costing between £100 and £30,000, even if it’s only the deposit you pay on your credit card. The reason is all purchases between those amounts paid via your credit card are protected under section 75 of the Consumer Credit Card. That’s a level of protection no other form of borrowing gives you. If you have a good credit rating, you’re interest rate is likely to be decent on a credit card. Credit cards and most types of finance for those with bad credit, tend to attract higher interest rates. Take for example car finance. Anyone with bad credit is likely to be offered the finance at a high interest rate. The credit card, provided it’s within your credit limits, and you can afford the repayments (usually 2% minimum payments monthly), it may well be an attractive way to finance a new vehicle. However, what you can also do is pay the deposit amount only and that will give you the same level of consumer protection, and then put the remainder on a car finance deal. Neither the card, nor the unsecured finance would bring your home into the terms of the agreement as security. When you’re raising finance through borrowing, it’s imperative you know the risks you’re getting into. This includes debt management plans, which affect your credit rating. The majority of loans will be considered, but your previous borrowing and the amount of credit you have available to you will be considered when you apply for finance. For any type of regulated secured or non-secured loan, which is the vast majority these days, you also need to meet the affordability lending criteria, ensuring you’re only borrowing within your means. Finance firms will always assess the level of risk you pose to them. In terms of the risk level you’re taking on by securing finance against your home, that’s something only you’ll know best about what you’re comfortable with. If you’re not comfortable taking out a loan on the terms of your assets being security for finance on favourable terms, look at alternative forms of borrowing that don’t require you to use your home as security. For amounts that only involve a little of your home equity, think seriously through your options. If you need a large sum of money, for example; extending your home, then you may not have as many options, however always research your options to find the type of borrowing you’re most comfortable with.